To be fair to the government, from my recollection, at no point did they indicate that higher calibre semi-automatic rifles would be allowed, and it would have been incredibly naive to think otherwise. The only animals needing these weapons are likely to be goats with possums and rabbits quite able to be culled by .22 or shot guns. 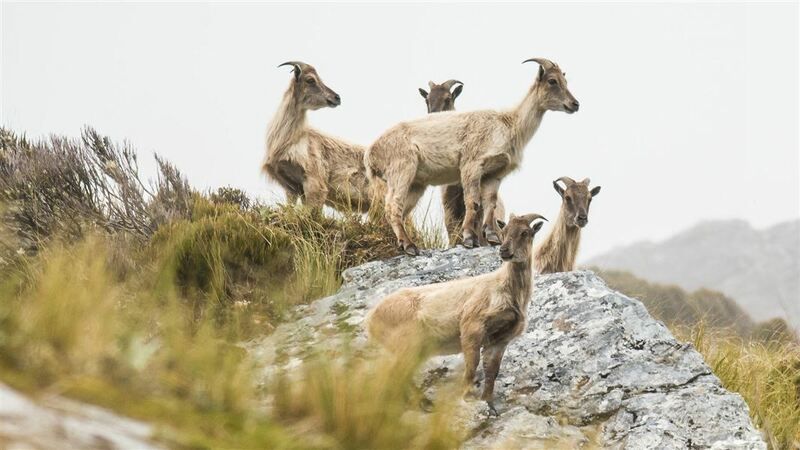 According to DOC feral goats occupy about 14% of the land area on New Zealand and about half of this is conservation land. Their numbers while uncertain may range up to several hundred thousand. While a semi-automatic rifle may be effective, I can’t help but wonder how much these would be used in reality on most farmland. The schedule for goat meat now $4.70 in the North Island which equates to around $70 for a reasonable goat. Surely if the goat populations are so great that semis are required then it would be far more productive to muster the goats and sell them. In the early 1980’s on the North Island East Coast and around the Wairoa region when the demand for feral goats, particularly white and black ones, went crazy as a means to upgrade to angora and cashmere flocks, shepherds and farmers alike spent many a weekend supplementing income by mustering the goats in and were so effective in reducing the goat numbers, the blackberry and gorse, a problem in the best of times, went crazy when the goats were removed. Covers only got back under control when the goats returned when hunting pressure was removed several years later. My point is if landowners are really serious about removing goats from farmland then there are more effective and profitable ways to do it than shooting them. DoC land is a different situation and it is likely contractors have been used in the past to cull these areas and so for here nothing has changed. As someone who when younger did his fair share of hunting I struggle to understand why some people seem so hell bent on hanging on to semis for what can only be construed as pandering to their egos. In another attack on a farming staple tool glyphosate or Round-Up is having a major battle in the US where the courts are not waiting for science to provide evidence and are finding in favour of applicants who are suing the chemical giant Monsanto. And the yet the courts found in favour of the plaintives. Only three have made it to court so far but allegedly there are 11,000 queuing in the wings claiming glyphosate-based herbicides such as Round-Up cause non-Hodgkin lymphoma, and Monsanto has hidden the risks and manipulated the scientific record. It appears that the courts have given more weight to a report by epidemiologist Beate Ritz, professor at the University of California Los Angeles School of Public Health, which casts doubts on the methodology Monsanto used to conduct their tests as to whether glyphosate posses health risks and also a review by Dennis Weisenburger, a pathologist specializing in studying the causes of non-Hodgkin lymphoma and the potential linking of it to glyphosate. Monsanto has appealed the courts decisions and has made its research reports available to try and win the science battle. No doubt the ‘debate’ will be continued for some time yet. From a farming perspective clarification over the safety or overwise of glyphosate needs to be quick and correct as it is too valuable a tool to be banned on whims but also too common to be used if there are serious dangers associated with it. Haven't shot the Tahr shown but have killed plenty of goats. I think the govt should have made a simple clean-cut ban of all semi autos with no exemptions whatsoever. Allowing various exemptions only opens it up to endless argument and legislation. Glyphosate is a godsend! the yanks are nuts sometimes. The cynic in me wonders if the only reason they're being sued so hard is because it's now owned by a German company now. The truth is that yes it's probably a little carcinogenic, in the same way that ethanol, medical xrays, and fish from the ocean thanks to Fukushima, are all carcinogenic too. Its a chemical, and you have to treat it with respect, but it's a heck of a lot better for the environment and human health than the chlorinated alternatives like 2,4-D or 2,4,5-T.
"To be fair to the government, from my recollection, at no point did they indicate that higher calibre semi-automatic rifles would be allowed, and it would have been incredibly naive to think otherwise". The original Order in Council did allow for centre fire semi-autos with detachable mags of no more than a 5 round capacity. The legislation is clear on the 0.22 rimfire firearm exemptions but it hasn't been thought through clearly due to the way it's been rushed through. It has now encompassed an awful lot of bolt and lever action 0.22 rimfires so obviously the cost of the buy back will increase for no appreciable gain. It's a shame that people acknowledge their limited experience with regards to the need for semi-autos yet never want to listen to others that do have the experience. "An awful lot of bolt and lever action 0.22 rimfires"? Really? I have owned a lot of .22 bolt action, lever action and semi-automatic over the years. Very few have had a magazine holding over 10 shots. When I've needed a lot of .22 ammo in an area with lots of possums or rabbits, I just put a few 10-shot magazines in my pockets. Can't see the buy-back being increased much over large-capacity .22 rimfire rifles. There are quite a few tube fed .22s with a 15 round capacity. The previous arms act allowed for 15 rounds for this reason. Which do you think poses more of a potential danger? Reloading a 15 round tube fed bolt or lever action firearm or swapping detachable 10 round mags in a semi-automatic firearm. One has now been banned, the other is legal. Now it has caught up more people than intended and a lot won't realise it. The Fed Farmers realised their gaff but it's too late now. The whole glyphosate thing is corrupt as. Even UN agency's have been caught manipulating meta studies. "Reuters found 10 significant changes that were made between the draft chapter on animal studies and the published version of IARC’s glyphosate assessment. In each case, a negative conclusion about glyphosate leading to tumours was either deleted or replaced with a neutral or positive one. Reuters was unable to determine who made the changes. IARC did not respond to questions about the alterations. It said the draft was “confidential” and “deliberative in nature.” After Reuters asked about the changes, the agency posted a statement on its website advising the scientists who participate in its working groups “not to feel pressured to discuss their deliberations” outside the confines of IARC. " Regarding firearms. Police who owned E-cat lincences and were against the bill were forbidden from speaking out at the select committee! Costs of the buy back scheme (see link below) are estimated to be 200-300 million or even up to a billion dollars. What the heck!!! I'm all for government deficit spending, but only if it leads to jobs growth and future revenue streams. This epic waste of money will do nothing for the country. No one was allowed to request an oral presentation of their submission due to the self imposed time constraints. It was by invitation only. Even the NZ Law Society submitted and questioned the lack of time allowed. There's no incentive for previously illegally held firearms to be surrendered, so good luck getting the ones held by people we should be worried about off the street.